Harry the video wizard made an extremely cool clip for our next upcoming (any minute now) hit release ‘Ik daans deur‘ by Bert Hadders & de Nozems. 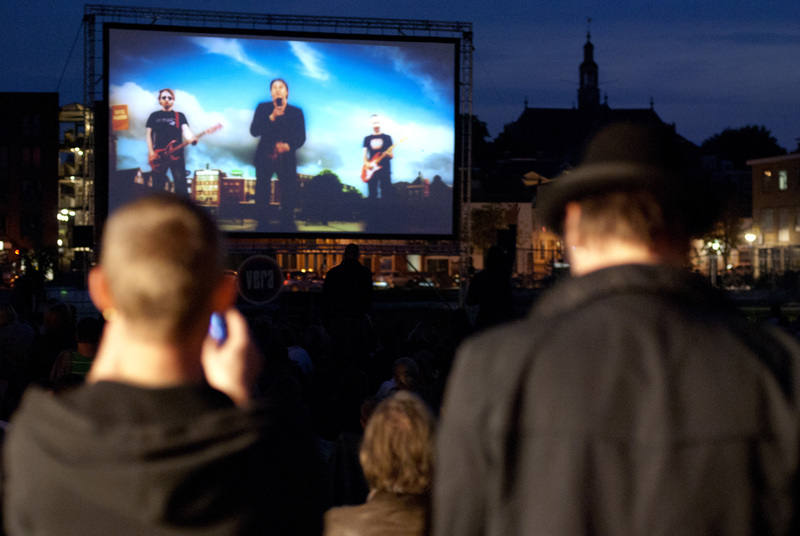 Yesterday evening it premiered at the Vera club’s open air movie festival ‘Zienemaan‘ in Groningen. I tried to get a good shot with my camera but these two geezers kept blocking my view. This entry was posted on September 3 2011 by ̸̬̬̦̦̖̤̾ͥTƯ͖͈̓͗̌̊ͫP̴̟͇̜̩̱̄͞ ̧͚̙͓͔̭̉̍ͭ͌̋͆̎ ̤̭̑ͧ̐F̵̢̧̹̥̹̪̲ͭƯ͖͈̓͗̌̊ͫ ̤̭̑ͧ̐Ċ͇̝̗ͤKƯ͖͈̓͗̌̊ͫP̴̟͇̜̩̱̄͞S ̆̽̆ͭ͂҉̼̝͍̜̫̜-. It was filed under news .